With a stay at Hotel Emma in San Antonio (Midtown), you'll be steps from Pearl District and a 4-minute drive from San Antonio Museum of Art. 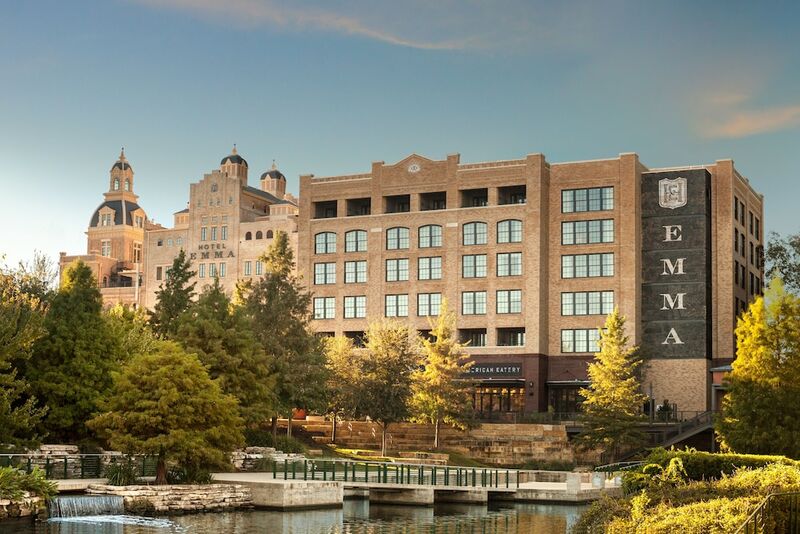 This 5-star hotel is 1.1 mi (1.7 km) from The DoSeum and 1.6 mi (2.6 km) from Witte Museum. Make yourself at home in one of the 146 air-conditioned rooms featuring refrigerators and minibars. LED televisions with satellite programming provide entertainment, while complimentary wireless Internet access keeps you connected. Conveniences include safes and complimentary newspapers, and housekeeping is provided daily. Don't miss out on the many recreational opportunities, including an outdoor pool, a 24-hour fitness center, and bicycles to rent. This hotel also features complimentary wireless Internet access, concierge services, and babysitting/childcare (surcharge). Enjoy a meal at the restaurant or snacks in the coffee shop/café. The hotel also offers 24-hour room service. Unwind at the end of the day with a drink at the bar/lounge or the poolside bar. Cooked-to-order breakfasts are available for a fee.